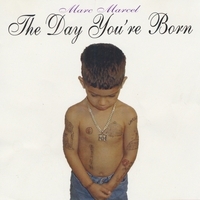 Marc Marcel's first Spoken Word CD, 'The Day You're Born,' is laid with smooth ballads and production by Brian 'Beano' O'Neal, a masterful and Brilliant pianist and Producer. “The Day You’re Born,” first, I would like to thank God for my breaths, and each day that I have left. Secondly, I have to thank my Producer, Brian “Beano” O’Neal. If I can’t put into words how much it meant to me that he went forth with this project, But Beano, you deserve way more credit than I could ever give you. This album is beyond any dream I had, and I have you to thank for helping that vision come true. While the album took me a matter of 3 days to write, the production took well into 8 months to complete. With that said, and my first release, I make no secret and have no shame that the production is far superior than the poems. But I think the biggest satisfaction that I had with working with you, wasn’t the finished project, but it was when you told me that I brought out some of the best music you’ve done in years. That was probably the best compliment I could’ve gotten, right along with the time when you played back a few songs for one of your guest, and she started crying. Both instances touched me deeply. I want to thank, Aqiyl, whom is my publisher, Q-Swon, Cola Rum, Sauda, Baby, KD, and much love to David Ali, you all made this album so much better. Thank You! Live, Learn, Love & Laugh.